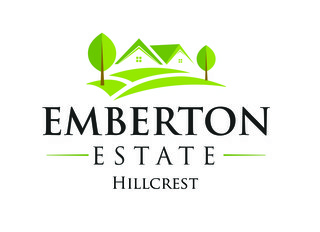 Sign-up and receive Property Email Alerts of Residential Estates in Emberton Estate, Hillcrest. Described by many property professionals as one of the most exciting residential property development to be launched in the KZN Upper Highway, Emberton Estate is set to encompass the entire spectrum of home buyers. It offers affordable 2 or 3 bedroom simplex options to those who are entering the property market, larger freestanding homes that cater for families or that down-scaling from larger homes. What makes it unique is that Emberton is aimed at young families who are often priced out of the 'estate market' and the facilities indicate as such. Parents will relax whilst kids are spoilt for choice; rushing between cricket nets, jungle gyms, and a tennis court. Fitness fanatics will start their mornings with training in a swimming pool, whilst young families walk dogs and prams through the numerous running paths. A bar and dining lounge provides a modern and comfortable setting for parents; safe in the knowledge that young children are having fun in their very own entertainment area. With easy access to both the M13 & N3 Highways, not only will working parents beat the traffic, they'll be able to drop the kids at some of the most reputable state and independent schools in the country. Highbury Prep, St Mary's DSG, Thomas More, Kearsney College and Curro Hillcrest Christian Academy are mere kilometres away. Not forgetting fantastic government schools such as Winston Park Primary and the Primary & High Schools of Hillcrest and Kloof. Equipped with 24-hour patrols and some of the finest security-based technology in the country, Emberton is mere minutes from Hillcrest Corner Shopping Centre and Hillcrest Private Hospital.